Join us for a week of fun, hands on activities and healthy education! 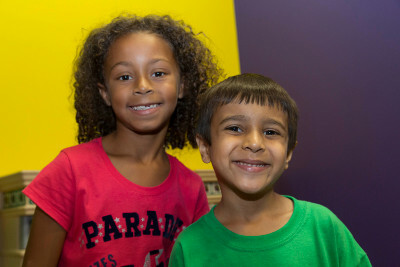 During this five day camp, children will learn different aspects of healthy living each day. Kids will learn how the digestive system works, meal portions, dental health and will have the opportunity to meet doctors, nurses and ambulance drivers! Participants are required to submit their complete application, permission and waiver form along with a full payment of $100.00. Camp space available on a first come basis. tips. Campers will prepare “safety” themed snacks, engage in a lesson called “smart-n-safe” and conclude with a tour of a fire truck and police car. in protecting themselves against bad germs. Campers will make “fuzzy germs” as part of the activities of the day. make an “Apple Smile” snack and create a “Smiling Self Portrait” before playing in the Wellness Discovery Room. program. After the program, campers will make personal pizzas to enjoy with a delicious fruit smoothie. We will end our day with fruit and veggie BINGO and some fun prizes! *On the days where time permits, campers will have an opportunity to play in our Wellness Discovery Room which has an X-Box Kinect, IPads, Dance Revolution and much more! Call (336) 781-2508 for any questions.